Try Scuba Diving today, No certification required. Come explore the beautiful underwater world of Honolulu, Hawaii and see tons of tropical life and fish! Try Scuba Diving Honolulu specializes in taking new beginners out scuba diving for their first dive experience. We provide all the gear and our instructors teach you everything you need to know to make your first dive. On this dive you are guaranteed to see a ton of aquatic life and tropical fish and maybe even a sea turtle or two. A Go Pro video of you experience is included! Come and explore the wonders beneath the blue waters of our planet right here in Honolulu, Hawaii. 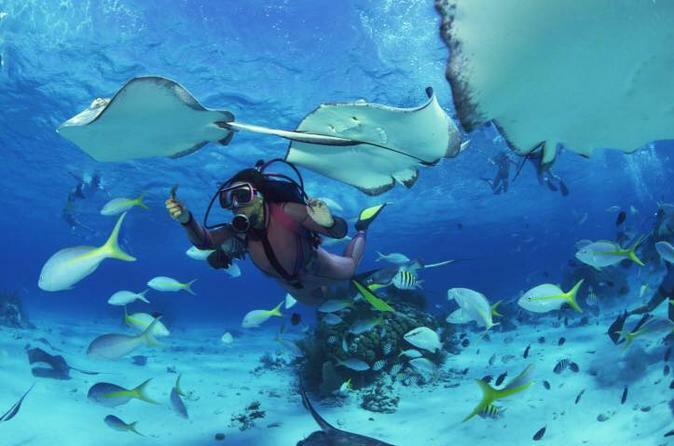 We guarantee this will be the highlight of your vacation and you will want to dive again!